This is the place! From spring days with a landscape covered in trillium to a summer afternoon on the beach or water, Harbor Springs is the place. Situated on a beautiful natural, deep harbor, this tiny, beautiful community has a wonderful downtown business district with fabulous shopping and dining overlooking the water. Four seasons of outdoor fun offer amazing opportunities for families. Harbor Springs is waiting for you to visit. What are you waiting for? This the season when many visit Harbor Springs And rightfully so! There is much to do here: concerts on the waterfront, an art fair in the park, Waterfront Wine Festival, sailing, kayaking, beach time, fishing, hiking, biking including the Little Traverse Wheelway, and golfing. This is the place to meet with old friends, and new ones, dine, play, enjoy. Looking for lodging? We have everything from quaint bed and breakfasts to complete resorts. Lodging to fit your wants! But summer isn't the only season in Harbor Springs. Fall is the perfect time to view the beautiful fall colors and drive the Tunnel of Trees to Cross Village. The water is still warm for swimming and water activities, the golf courses are glorious in fall color, and the many events such as Taste of Harbor Springs and Great Lakes Glass Pumpkin Patch there is much to do. Spring is a glorious image of wild trillium blooming in the woods and morel mushrooms to find. Zoo-de-Mack brings thousands of people to Harbor Springs to bike from Boyne Highlands to Mackinac Island. 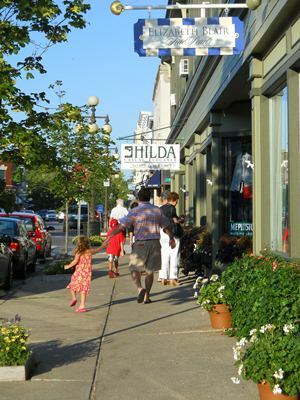 From this website, you can explore so much to see and do in Harbor Springs: Activities & Things to Do, Antiques & Home Furnishings Shops, Art Galleries & Fine Antiques Shops, Dining & Restaurants, Farm Markets & Local Foods, Golf Courses, Lodging, Services, and Shopping. 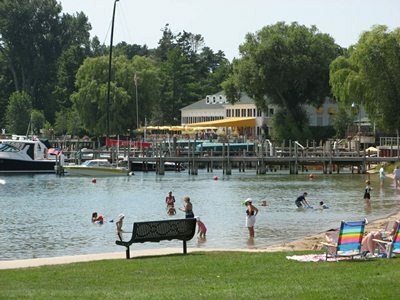 Generations of visitors have called Harbor Springs their summer home. And with good reason. It is a spectacular community just waiting for you to visit!